South Asia Travel and Tourism Exchange (SATTE) 2017, the leading B2B event hosted in Pragati Maidan, New Delhi, attracted a huge crowd in its 24th year with a multitude of exhibitors, national and state tourism boards, startups and never-ending business opportunities. South Asia Travel and Tourism Exchange (SATTE), the three-days business networking trade show by UBM in New Delhi on February 15-17, saw its 24th chapter this year and witnessed the participation of 35 countries, 28 Indian states, approximately 20,000 travel trade attendees, over 30 international tourism boards, and more than 850 exhibitors including hotels, Destination Management Companies (DMCs), airport authorities, airlines, cruise liners, etc. Supported by the ministry of tourism, Incredible India and United Nations World Tourism Organization (UNWTO), SATTE is recognised as the biggest outbound travel show in the country and covers all aspects of inbound, domestic and international travel. 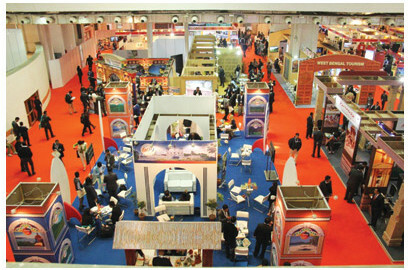 The show acted as an ideal platform to exhibit products and services to the travel society all over the world with a scope to conduct business with thousands of visitors. 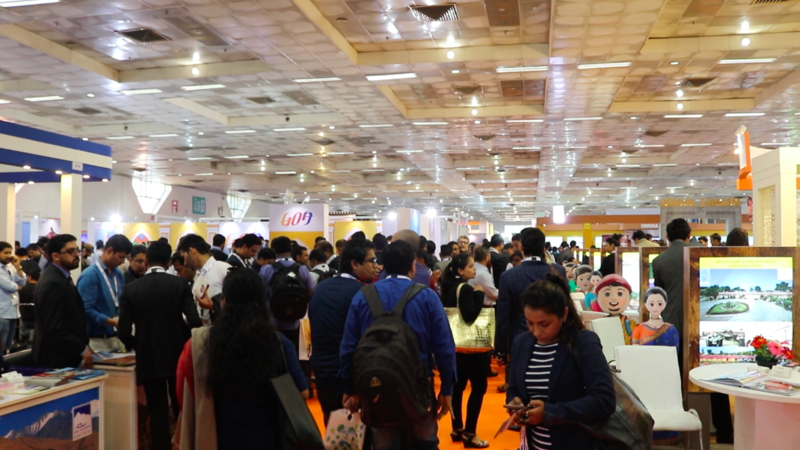 However, apart from being a spark plug and motivator for boosting the Indian travel and tourism industry, SATTE this year also turned out to be an essential show for many startups in the travel and tourism industry without a doubt, as the event provided a platform for aspiring travel startups and product launches. One such newbie in the travel industry, which launched operations with the event, is ‘India Assist’, a mobile app with the motto ‘travel stress free’ as a helping hand for foreign travellers who may need assistance at the time of any distress in the country. “When I was in the US, generally people were very excited about visiting India but they always had this concern if the place is safe and if someone would practice some kind of forgery. So, we planned to come up with something that the tourists can rely upon,” says Harish Khatri, Founder, India Assist. “If any tourist needs assistance, they can simply press a button in our app and they will be connected to our call centre. In case of absence of an internet connection, assistance can also be provided by a call at our toll free number. And, if required, we also send ground assistants where they can see each other on screens. We are providing help on Forex and visa as well through this app,” he further informed MIG. Not only India Assist, but many other startups like Tripshelf, Hive Travel Media Solutions, OyeSeva, Nafex, The Trip Works and YuMiGo, among many others found their ideal launches at SATTE. “With all major inbound and outbound travel operators present at the show, there couldn’t be a better audience for us to launch and showcase our game-changing travel app to the world,” said Rishabh Sood, CEO and Co-Founder, YuMiGo. Over the last ten years, India has seen the emergence of numerous startups, especially in the tourism sector, with OYO, TripHobo, StayZilla and Guiddoo to name a few. With the Indian tourism sector growing in leaps and bounds, many have already established themselves in the market, while the others have kick-started new ventures in the new year to take forward the sector and make significant contributions to make travelling easier in India.